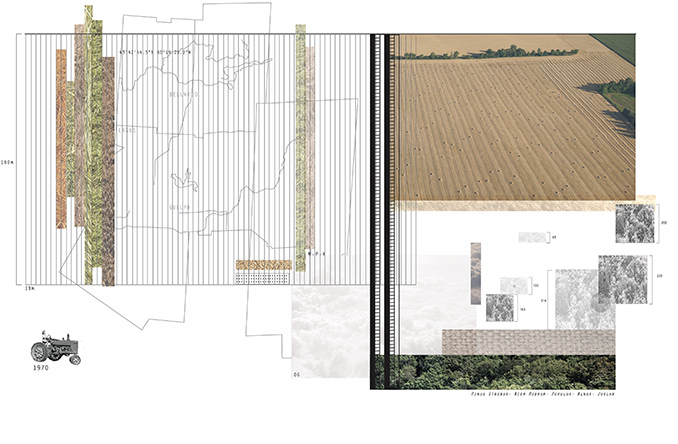 The map-landscape-drawings present a visually distinct means to document a place, a site, a landscape. Paying homage to Corner and MacLean seminal book, Taking Measures across the American Landscape, the purpose here is to interpret the Southern Ontario landscape in a similar fashion. The appeal of aerial imagery is, in part, a challenge to ‘de-code’ and see patterns that are not part of the normal human experience. 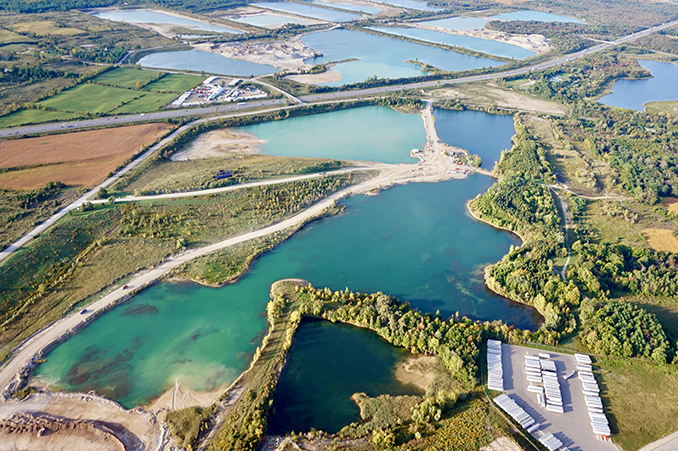 The popularity of satellite, drone and aerial images speaks to our fascination in seeing landscape from above. This is certainly a product of our evolutionary heritage in that we are predisposed to seek information from our environment. Consequently we derive pleasure in the act of de-coding visual representations, particularly those from a different perspective. In this sense, aerial images are appealing because of their information promise and the challenge and reward of deriving the familiar from the strange. 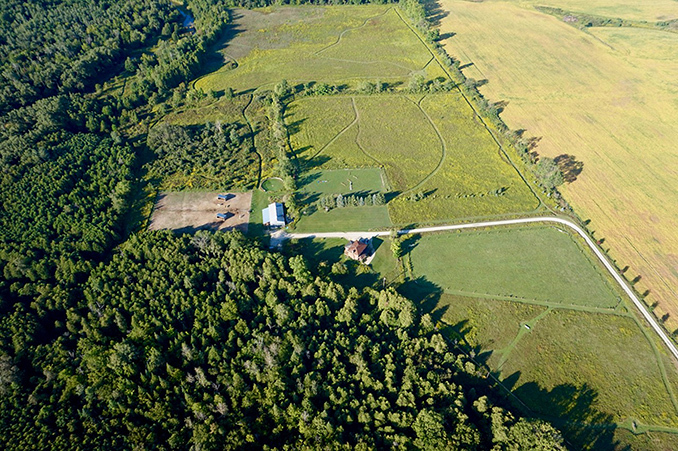 While aerial images are rich in realism they are inherently poor in spatial metrics and this might explain why professionals go to such lengths to incorporate information into and onto aerial imagery. If aerial images are used for measuring, counting or any quantitative task the transition from viewer-based immersion to professional-directed analysis and decoding is a significant step and one that has historically difficult to do well. Together with the map-landscape-drawings, the aerial images capture a sense of realism along with artistic site inventory/ analysis that draw deeper insights to the landscape. These aerial photos were selected for their photographic merit meaning there is a visual focus, an object of interest, special lighting, strong geometry, and perhaps most importantly the sense of ambiguity or the challenge to the viewer to de-code the object or subject. 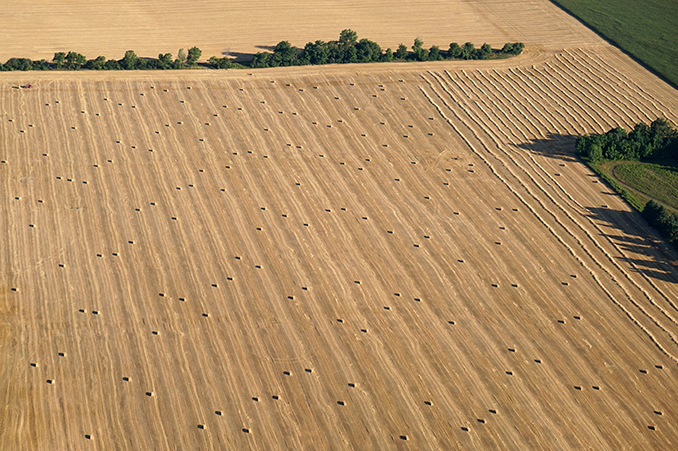 The selected aerials are de-coded, processed and interpolated to generate map-landscape-drawings. 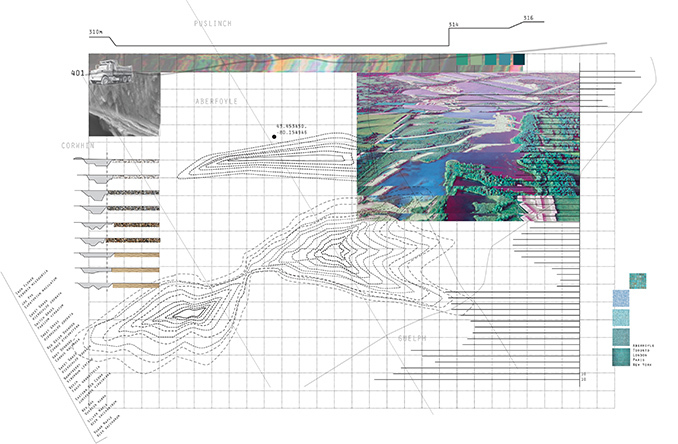 Why are these landscape-map-drawings so compelling? These map-styled drawings showcase both artistic and informative measures in the drawings, by in sense layering and mixing, and offer a new means of visual communication of the landscape. Corner’s ‘map-drawings’ reject the “tyranny of convention maps” and can be defined as “imaginative forms of measure” (Corner and MacLean 1996, xix). Their map-drawings seek a balance between the analytic (landscape data) and the creative (the interpretive artistic licence). 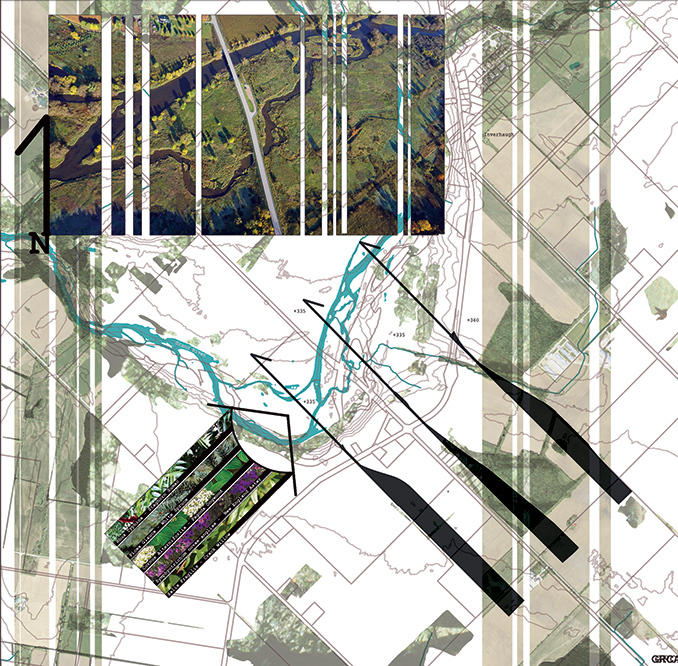 These ‘map-landscape-drawings’ were created by landscape architecture students at the University of Guelph . They seek creative and critical means to depict elements of the landscape that would otherwise escape notice, to become another means to understand the landscape, yet also yield a work of art. Using similar techniques and approaches to Corner, et al., Bowerman and Foch examined aerial photos taken from a gyroplane near Guelph, Canada, and created a series of map-landscape-drawings that visually abstract the site into artistic and informative map-drawings. Corner, J. and MacLean, A. (1996), Taking Measures Across the American Landscape (New Haven, CT: Yale University Press). Foreword by Michael Van Valkenburgh. 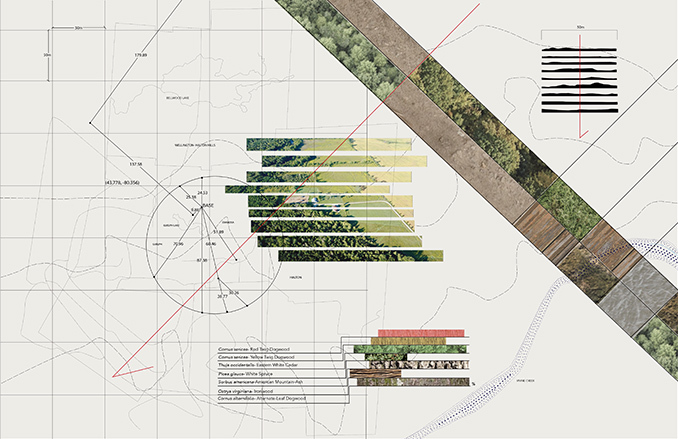 Map- Landscape- Drawings are crafted by landscape architecture students from the University of Guelph, SEDRD, Emily Bowerman and Kyle Foch, under supervision by Nadia Amoroso. 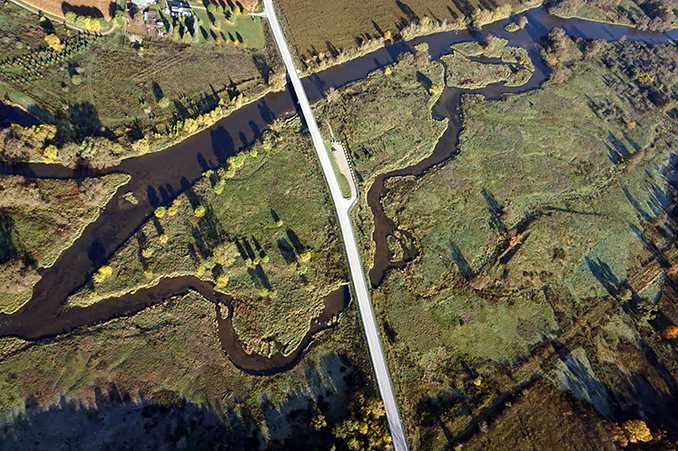 Aerial photos taken by Nathan Perkins.